Drug Delivery to the Lungs (DDL) 2016, Edinburgh, 8 December 2016 – H&T Presspart and Cohero Health have today launched the first market-ready, intuitive, fully-embedded and connected metered dose inhaler (eMDI) aimed at improving adherence and enabling continually optimized care of patients with asthma and COPD. 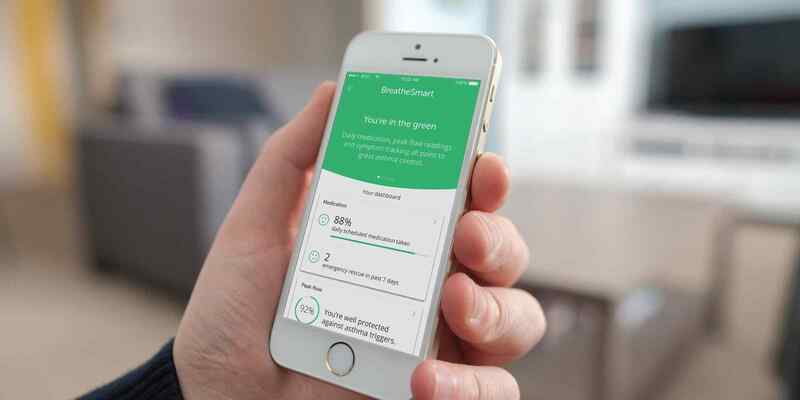 It is the only eMDI integrated seamlessly with BreatheSmart from Cohero Health, a comprehensive respiratory disease management platform that uniquely enables tracking of both controller and rescue medications, along with clinically accurate lung function measurement, in real-time. The H&T Presspart eMDI is the result of a multi-year development between H&T Presspart, the world’s leading manufacturer of MDI components, and Cohero Health, a digital health company that has established leading connected health tools and technologies to empower respiratory patients and improve care through smart mobile devices. It is an evolution of existing inhaler technology, and closely mirrors the design and compact size of existing metered-dose inhalers, making it as easy as possible for patients to adopt, and minimizing scale-up costs and time to market for pharmaceutical manufacturers. “We already have effective medicines for asthma and COPD. But we can only improve and save lives in the face of rising healthcare costs if we find new ways to ensure that patients get the right dose at the right time every time,” said Dr Caralee Caplan-Shaw, Assistant Professor, Co-Director of a New York City Pulmonary Clinic. By tracking, recording and sharing data on the use of both preventer (controller) and reliever (rescue) medications, the eMDI will engage and empower patients in their self-care, leading to improved adherence, whilst enabling real-time monitoring of medication use and symptom flare-ups by caregivers and the healthcare community. Medication utilization data from the eMDI can be merged in real-time with lung function data from Cohero Health’s mSpirometer – a clinical grade handheld wireless spirometer that precisely measures critical lung function metrics. This allows, for the first time, for the effects of preventer and rescue medication use on lung function to be tracked and analyzed. “In designing the eMDI, our mission was to help pharmaceutical companies bring the best possible care to patients in an intuitive device in the fastest time and most cost-efficient way,” said Peter Schmelzer, CEO of H&T Presspart. “We have thus combined the design of the world’s most widely used and established inhaler technology with the only respiratory platform that gives a complete and objective picture of how a patient is responding to treatment between reviews,” said Mellissa Manice, Co-Founder and CEO of Cohero Health. Sensors embedded within the inhaler track the date and time of medication use as well as the quality of delivery, which is both recorded in onboard memory and shared wirelessly Bluetooth, syncing seamlessly with the BreatheSmart app, which can provide customized reminders, real-time alerts and updates on medication usage, as well as weekly and monthly summary reports. Patients can opt to share their data with family, caregivers and/or healthcare providers, with access via a web app on a secure, dedicated, HIPPA-compliant server. The technology supports EMR integration, allowing patient data to be transferred automatically and securely directly into a patient’s medical record. The H&T Presspart eMDI incorporates an FDA approved mechanical dose counter allowing pharmaceutical companies to transition current products to connected devices more easily and in a step-wise manner. Additional sensors and electronic displays can be incorporated for additional data monitoring and messaging. Modular design enabling sensing and communication capabilities to be applied to a range of MDI, DPI and other drug delivery devices H&T Presspart and Cohero Health are currently collaborating with pharmaceutical manufacturers who are leveraging the technology for pipeline development and value-added product differentiation. [i] World Health Organization. Global surveillance, prevention and control of chronic respiratory diseases: a comprehensive approach, 2007. © 2019 Copyright H&T Presspart Manufacturing Ltd. All Rights Reserved. Thank you for visiting our website and finding out all about H&T Presspart and the products and services we provide. H&T Presspart attaches the utmost importance to the protection of your privacy as a user of our website and strictly adhere to the data protection regulations in the collection, processing, and use of any personal data. This applies in particular to the processing of your personal data. If you provide us with data via our online forms, the personal data provided by you will be processed to fulfill the respective purpose. We are not aware of the identity of the users and we do not take any action to obtain such information elsewhere. We evaluate these technical data anonymously and for statistical purposes only, in order to be able to continuously optimize our website and to make the Internet offers even more attractive. This anonymous data is stored separately from personal information stored on secured systems. Your personal data and your privacy are protected at all times. A transfer of your personal data to third parties solely on the basis of your consent granted or on the basis of a statutory permit. Transfers of your personal data to state institutions and authorities entitled to receive information only take place within the framework of the relevant laws or insofar as we are obliged to do so by a court decision. Our employees are required to observe secrecy and to comply with the provisions of data protection laws. For technical implementation of the provided services, we have commissioned companies that process your personal data on our behalf. This website uses Google Analytics, a web analytics service provided by Google Inc. (“Google”). Google Analytics uses so-called “cookies”, text files that are stored on your computer and that allow an analysis of the use of the website by you. The information generated by the cookie about your use of this website is usually transmitted to a Google server in the USA and stored there. IP anonymization is active on this website. Your IP address will be truncated and saved without the last octet. Although we know from which network a request came, but not from which computer. Your IP address will generally be truncated by Google within member states of the European Union or in other contracting states of the Agreement on the European Economic Area. Only in exceptional cases will the full IP address be sent to a Google server in the US and shortened there. On behalf of the operator of this website, Google will use this information to evaluate your use of the website, to compile reports on website activity and to provide other services related to website activity and internet usage to the website operator. The IP address provided by Google Analytics as part of Google Analytics will not be merged with other Google data. You can prevent the storage of cookies by a corresponding setting of your browser software; however, please note that if you do this, you may not be able to use all the features of this website to the fullest extent possible. http://tools.google.com/dlpage/gaoptout?hl=en . We protect your data through technical and organizational measures against unauthorized access, loss, manipulation or destruction. Our security measures are constantly updated in line with technological developments. All communications between your device and our servers are encrypted. This applies to the download of documents or information that we offer you on our website, as well as information that you provide us via the contact form or the application form. You have the right to information about the personal data stored about you at any time. In addition, you may have the right to correct incorrect data, the right to erase your personal data, the right to restrict the processing of your personal data, and the right to data portability under Articles 16 to 20 DS-BER. You have the right to revoke your consent at any time. The revocation applies with immediate effect for the future. The legality of the processing carried out on the basis of the consent until the revocation is not affected by the revocation. If you believe that the processing of your personal data violates data protection regulations, you have the right to complain to a regulatory authority. Personal information is information about your identity. This includes, for example, information such as name, address, telephone number or even the e-mail address. Using this website does not require that you disclose personal information. However, in certain cases, we may need your name and address, as well as other information, so that we can provide the services you require. This applies, for example, to the use of our contact form, the sending of information, the answering of individual questions or the use of our online application form. Where necessary, we will inform you accordingly. In addition, we only store and process data that you voluntarily or automatically provide. If you make use of consulting services, generally only such data is collected as is needed to provide the services. As far as we ask you for more information, it is voluntary information. 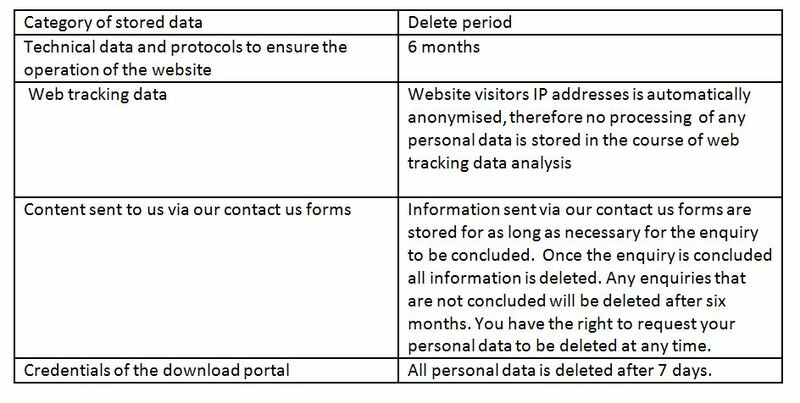 The personal data you provide will only be processed for the purposes stated and explained below.